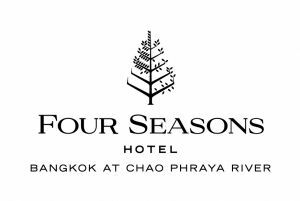 The Four Seasons Hotel and Private Residences Bangkok Chao Phraya is looking for a Security Assistant Manager. Candidates with a passion for excellence, expertise in Security and Loss Prevention Management and a proven leadership experience are invited to apply for a career with Four Seasons. As the leader of the Security Team, the Security Assistant Manager, works across the different disciplines to deliver an exceptional experience and provide leadership. We are looking for individuals who have a solid knowledge of Security and are able to evidence good business acumen, a strong work ethic and people-management skills. In addition the candidate must have strong leadership and interpersonal skills, are able to prioritise and adapt to the changing needs of the operation, and can evidence having a solid work ethic, good business acumen and a passion for service. The Security Assistant Manager is a vital member of the Security Team who is responsible for leading the Security Team and providing a safe and secure environment in which guests can relax and/or conduct business. This department establishes, promotes and maintains the hotel- s security and property protection. The Security Team is available 24-hours a day. The Security Assistant Manager will hold Four Seasons Culture Standards with the highest regard, as he/she is expected to be the proponent of honesty, integrity, security, safety, and team spirit. Our Cultural Standards are - How we behave.- He/she will have an accommodating and willing approach toward the guests, co-workers, visitors, government and neighborhood entities and a welcoming and outgoing personality and is expected to maintain the friendly and unobtrusive atmosphere of the Hotel. The Security Assistant Manager will assist all departments in providing exceptional guest service while simultaneously ensuring a safe environment for all and protecting the property of our guests, employees, and the Four Seasons. They will need to be extremely sensitive towards all occupants and workers, anticipating their needs. He/She will also be sensitive to everybody- s needs and at times will act as a facilitator, mediator, and informant to maintain a respectful and friendly relationship between and with all occupants of our building.